Mario Sorrenti photographs Anja Rubik in THE NEW YORD TIMES, T MAGAZINE. The theme of the spring travel issue issue is "America and Beyond". 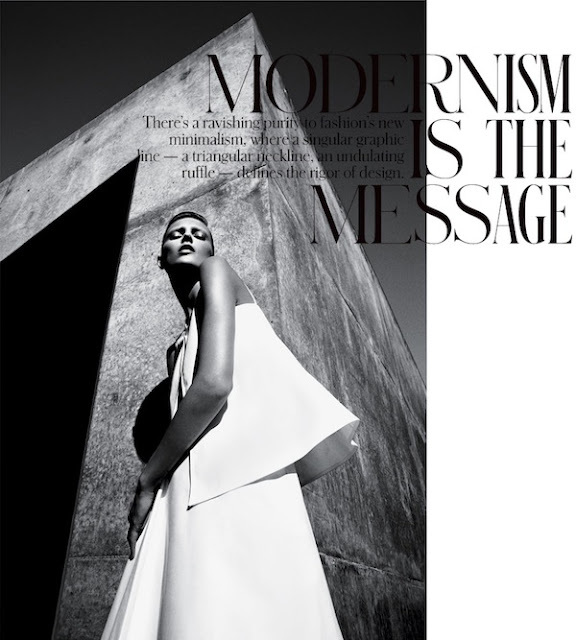 The editorial titled "Modernism is the Message" was styled by Jane How. Jane styles Anja in designs by Jil Sander, Lanvin, Balenciaga, Calvin Klein, Stella McCartney, Versace, Gucci, Dior and Emporio Armani.